The search for life on Mars is still currently ongoing. Now, however, researchers may have brought forward a hypothesis that proves that life in some form would be able to thrive on the planet. Exposed to hostile conditions similar to those in outer space, bacteria have proven their resilience and raise hopes of finding microbial life in other worlds in the solar system. There are different “listening” programs, like SETI’s, hoping to catch alien radio signals coming from deep space — though radioastronomers are now struggling to take their game up a notch due to the cryptocoin craze. Until we come face to face with an extraterrestrial civilization of Type I, II, or III, most of the efforts are geared toward the search for alien bacteria. Deepening our knowledge of bacterial life forms living on Earth will help us hone our abilities at searching for life elsewhere in the solar system and beyond. Bacteria are everywhere you look, even in the least welcoming environments of the planet. These tiny single-celled organisms have triumphed over natural odds thanks to amazing adaptation mechanisms. Different species of bacteria have made some of the harshest environments in the world their natural habitats where extreme conditions would be fatal to humans and most other life forms. Some extreme alien worlds are akin to hostile environments on Earth. Mars’ barren lands? Hot deserts. Enceladus and Europa’s plumes? Hydrothermal vents. Freezing cold, sizzling heat, acidity, radiation, darkness… you name it. We find extremophiles living a peaceful life in any of the above terrestrial environments, why wouldn’t they survive similar or even harsher conditions off-Earth? A new study via NASA’s Astrobiology Magazine concludes that some of Earth’s hardiest bacteria may survive in the extreme climates found in the solar system. Researchers from three universities in the U.S, Germany, and the UK exposed bacteria specimens to a selection of saline chemical solutions. They found that some microbes can withstand conditions similar to those found in Mars, Pluto, icy moons like Enceladus and Europa, and other extreme exoworlds. For their study, the research team chose Planococcus halocryophilus, a microbe strain known to be resilient because it dwells in the Arctic permafrost among other harsh locations. These tiny creatures were put to a set of extreme “baths”. Researchers likened bodies of liquids found on some planets and moons far from the sun to antifreeze, in that their salinity results in low freezing points. So, the researchers cooked up different antifreeze-like chemical cocktails based on sodium, magnesium, and calcium chlorides in which they introduced Planococcus halocryophilus bacteria. They also subjected specimens to a briny solution based on perchlorate, and which mimics the chemical compound known for its high toxicity and occurs naturally in Mars’ soil. According to the results, survival rates of the microbes dropped to their lowest when they were immersed in solutions with high concentrations of perchlorate. 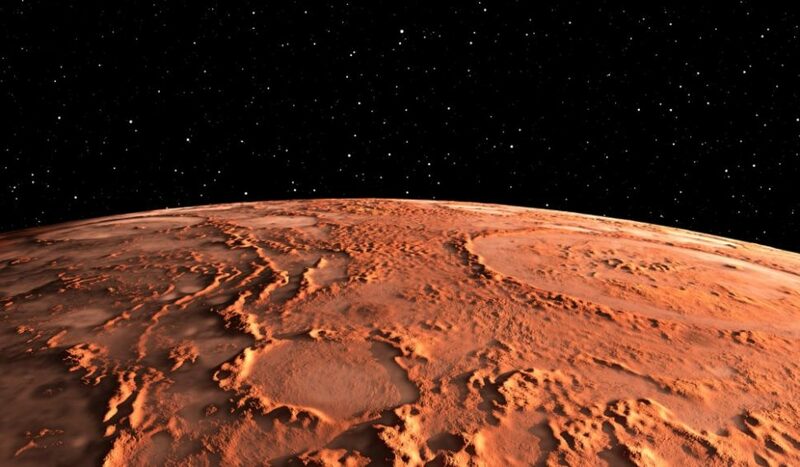 Does this mean perchlorate could prohibit the existence of microbial life on Mars? Perchlorate levels in Martian soils, at less than one weight percent, are far lower than that. Besides, the type of microbe, temperature, and other factors all come into play. Another very important point is that we can’t underestimate the adaptation tricks bacteria have up their sleeve. Fisher, who studies planetary habitability and microbial ecology, cited the example of the Atacama Desert and Antarctica, two terrestrial places with relatively high perchlorate concentrations. Previous studies have shown that not only can terrestrial bacteria survive in the most parched parts of the Atacama Desert, they in fact thrive on its harsh elements like perchlorate and heat. These studies have shown that life on Mars, along with many other planets in our solar system, is at least theoretically possible. Now, all we have to do is find them. If it’s likely that there could be bacterial life on Mars, why haven’t we found them yet? Boeing Helped win Space Race 1.0, Will it win 2.0?